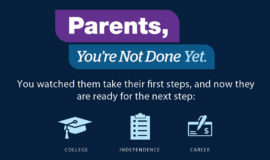 With the advent of a new school year, parents across the country are doing what they can to prepare for the new academic season. In hopes of making it a successful year, many parents look at not only what went well in previous years, but also proactively address some of the persistent stressors that sometimes threaten the school experience. It seems cliché, but sometimes “we need to talk”. Oftentimes, the problem, or difficulty, with these conversations is that this can be the first time that we actually take the time to sit down and talk. An added obstacle is that sometimes kids don’t have the words or know how to communicate some of the big feelings that they are experiencing for the first time. Scheduling time to talk as a family, or with kids individually, makes conversations part of the routine. When talking is routine it becomes less of an added stressor. So how do you do it? Keeping in mind that family dynamics are different in each house, here are some ideas of how to incorporate conversations. Family Meetings - Some family schedule weekly family meetings and just discuss things coming up for the week and check in on each member of the family. This can be as formal informal as you wish it to be. Go for a Walk - Some families take a walk and talk approach to conversations. Sometimes it is just nice to get out and move. Game Night – Again, sometimes the informal act of playing cards (or some other game) is a low stress way of transitioning into casual conversations. Book a Chat – Some families incorporate story books into their conversations. For some kids, and adults, it is easier to discuss the situations of characters rather than their own personal circumstances. Picture books, novels, and even audiobooks can be used and adjusted to the age, or situation, of the family. Need a suggestion? Don’t be shy – ask your school or public library librarian. Not sure how to start conversations about alcohol and underage drinking? Check out Ask, Listen, Learn for details! Whether you have a specific topic to discuss or not, meeting the school counselors (in person or over email) is a good thing to add to the beginning of the school list. It is nice to let students (especially the younger ones) know that they have people who are able to listen and help them out if they face difficult circumstances during the year. Not only are you giving your child an additional outlet in the school, but, as a parent, you are utilizing an added resource within the school. This is kind of a continuation of #2. As a kid, I remember Mr. Rogers talking about “finding the helpers” whenever you have trouble. He was referring to the kind people in your neighborhood that you could trust (like firefighters, police officers, etc.). Helpers can appear in many different forms in a school. They, the helpers, can be your child’s teacher(s), a custodian, a cafeteria worker, a secretary, media center specialist, instructional assistant, bus driver, or administrator. That’s a long list and there are probably still some people missing from it. 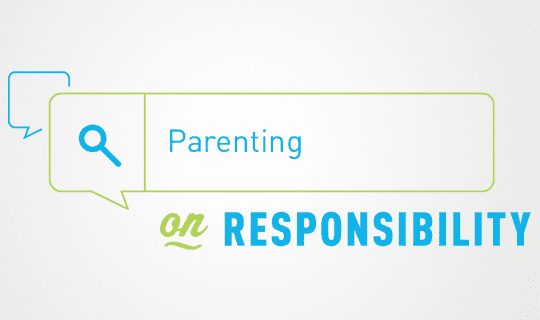 Talk to your child and see what adults are making an impact in their day. Coach them up and ask them if they know who they can go to if they have a problem. If they mention a specific adult, it may be worth an email to let that adult know they are making a difference. Road trips are less cumbersome when you know where you are going. 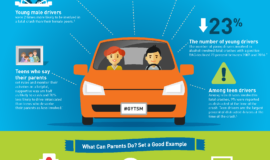 One of the best ways to reduce stress is to let the kids (and you) see the road ahead. A month at a time is less overwhelming, but mark all the school days, holidays, special events, and extra-curricular activities. While it is a way to organize, some people actually find it therapeutic. If you want to get real fancy, you can do it digitally through a number of different apps. The last tip is an important one. Again, part of reducing stress is being proactive. Can you plan meals or even prep them ahead of time? From lunches to dinners, if you know what you are going to eat ahead of time it reduces that worry and rush of getting something on the table or in a backpack at the last minute. If your goal is to reduce the feeling of being overwhelmed, you have to plan downtime – both sleep and fun. Can your family commit to a bedtime routine? Yes, there will be random nights where the routine gets upset, but is there a routine that will generally work? Talk about it as a family and try to implement it a week or so before school starts. Additionally, what are people going to do individually, or as a family, to decompress. Are there local fun events that you can attend? Maybe it is just a trip to the park or planning a bike ride. Maybe there are seasonal activities that you can add to a family bucket list. Whatever the case may be – plan some fun and put it on the calendar. That fun time is precious too. These tips are obviously just suggestions. Some may work well for your family and some may need tweaking to fit your needs. While there is no perfect way to start the school year. 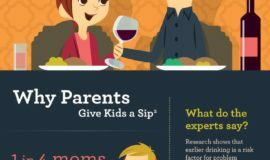 Maybe the best way to use these tips is to let them serve as a conversation starter for your family.